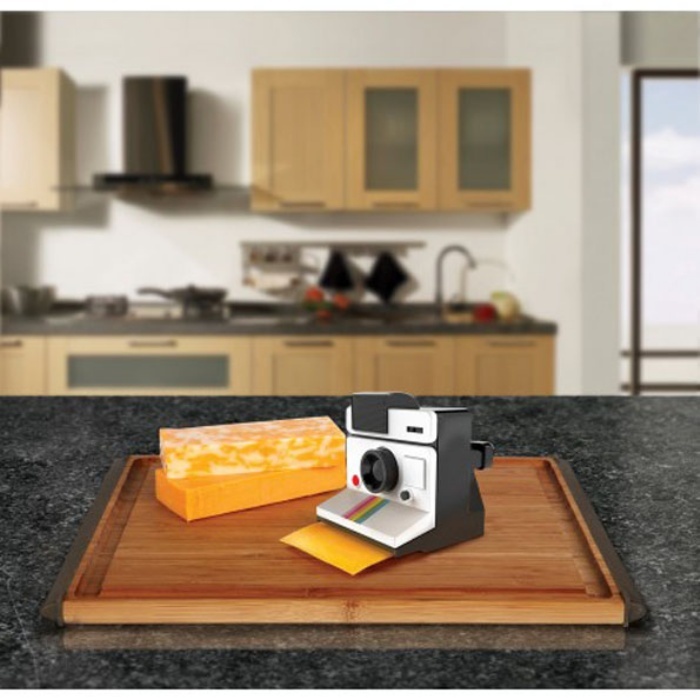 Polaroid Cheese Slicer Gives You Instant Cheese Slices | OhGizmo! By Hazel Chua on 01/30/14 • Leave a comment! Say cheese! 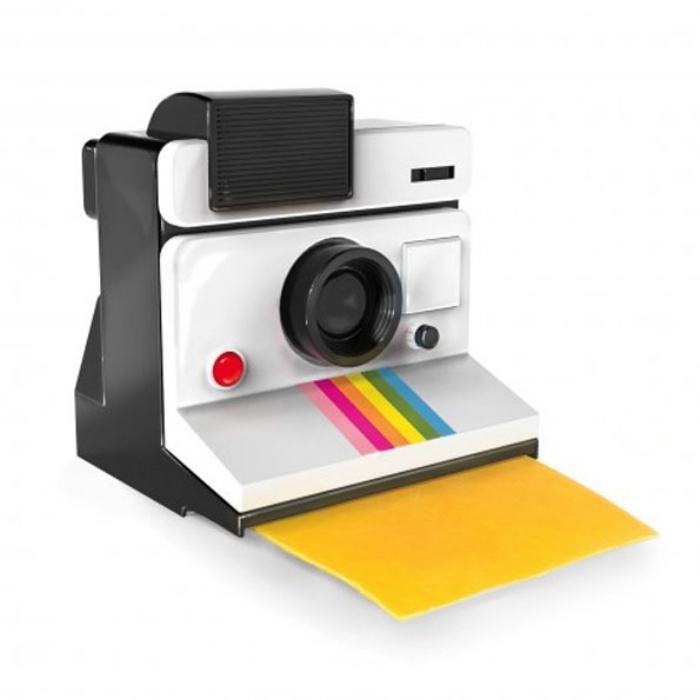 You can’t take pictures with the Polaroid Cheese Slicer (obviously!) but you will be able to slice cheese quickly and easily by just moving it back and forth on a block of cheese. The result? Instant cheese slices minus the mess, the knives, and the hassle. The cheese slices are perfect for sandwiches and burgers, and you can slice them further–with a knife, this time–into sticks to use for toppings or for cheese sticks. Yum! The fact that it looks like a vintage Polaroid is an added bonus. The Polaroid Cheese Slicer is available for $10.